Another wearable art creation from Pendulum collection of our shop. 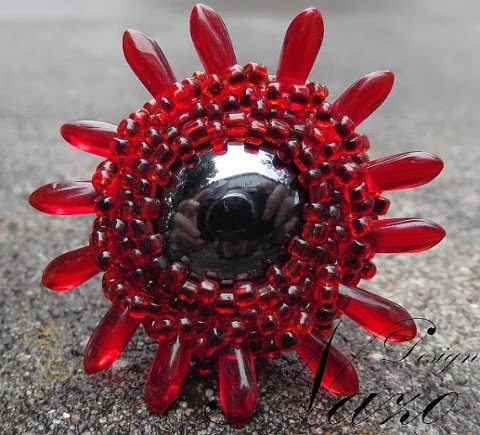 Red seed beads along with red drop shaped beads woven around a dark smoke gray stone to create this ring. * NO METAL COMPONENT IS INCLUDED. * Ring will be customized according to your ring size. So please let me know your ring size while checking out.